Art Pop Squared is a 2-day holiday market featuring the work of 15 artists, makers and bakers. Handmade, hand crafted, one of a kind works by local artists. Come and see the beautiful work, find something for those you love, including yourself! Admission is FREE! The juried The Annual Community Art Show: Best Local Art 2017 will run from December 1, 2017 through January 2, 2018. I am so very proud and pleased that my work has been selected to be shown at the December 2017 Annual Community Art Show sponsored by The Washington County Arts Council. 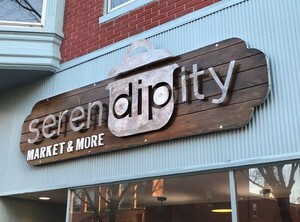 Serendipity Market & More is bringing back the small town market and general store to downtown Frederick, Maryland, with a modern yet comfortable atmosphere. We are focused on keeping our resources as local as possible, concentrating on providing clean, natural and sustainable products, all while maintaining a budget friendly selection for our customers. Guests will not only be able to enjoy our fresh foods market and bistro, but they will also be able to experience pieces from local artists and artisans showcasing their work in our community spaces. These community spaces are also available as rentals for special events and business meetings, with catering options available. 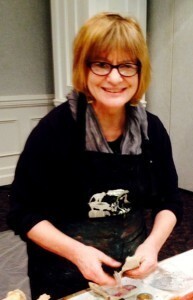 Serena Barton is a dedicated and world renown artist and instructor. Serena’s business, The Art of Your Life, offers original art, creativity and art workshops, groups and individual art coaching. She exhibits and sells her work locally and online. She teaches at national art retreats, at her studio, around the Pacific Northwest, and in Taos, New Mexico. 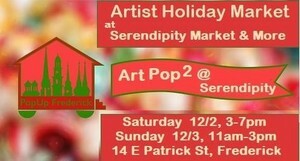 Art Pop 2 (Art Pop Squared) Artist Market at Serendipity is an 8-hour pop-up sale - in two parts. First Saturday night - from 5-9pm and Sunday Brunch-time from 10am-2pm. Fifteen artists, artisans & makers will be in the upstairs Loft at Serendipity Market & More - jewelers, painters, potters, glass artists, photographers, mixed media arts, creative home goods, fiber arts - and more! The premeir east coast decorating painting, folk art and fine art educational exposition for the discerning artist. Browse the gallery, visit with hundreds of exhibiters, or take classes with some of the most renown art teachers in the country! Another big THANK YOU to Leslie Ruby of Everedy Square Promotions for wonderful and well attended event, Sky Pop! at Frederick's Sky Stage, 59 S Carroll St, Frederick, MD. Sky Pop! is a gathering of local artists, makers and bakers to offer you a creative showcase: Artist demos, sales, fresh foods, live performance of music, all in the beautiful setting... Sky Stage. Admission is free. Rain or shine! 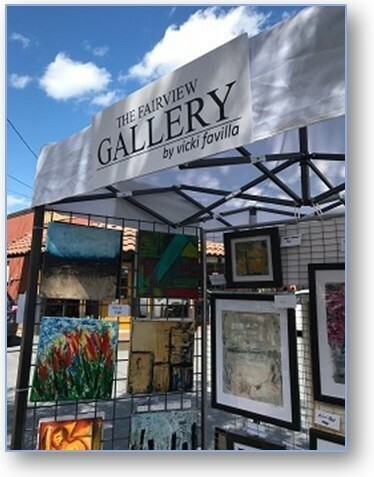 Each event in the series features 10-12 vendors - displaying & selling art, food, creative & practical products, along with demos & live entertainment. 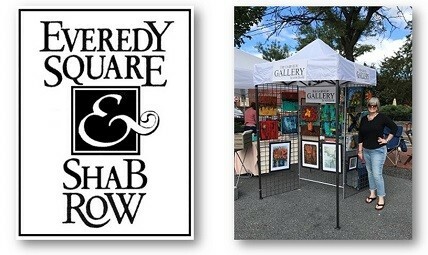 A big THANK YOU to Leslie Ruby of Everedy Square Promotions for hugely successful Art Pops! event yesterday in downtown Frederick, MD! Leslie arranged for perfect weather, over twenty artists, and live music at several locations along East Street. She coordinated with Everedy Square, Shab Row, and the Downtown Frederick Partnership in creating an impressive and successful event for our community.